Provide comfort for the family of Linda Francis with a meaningful gesture of sympathy. 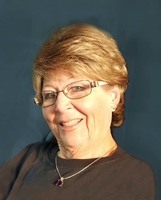 Linda B. Francis, 69, of Everett, was called home to be with the Lord on Monday, December 10th, 2018. She was born Tuesday, February 17th, 1949 at Memorial Hospital of Bedford County, a daughter of the late Charles F. Barton and Lidia V. (Beeler) Barton. On December 7th, 1985, she married William E. “Bill” Francis, who passed away on September 6, 2008. Poncho Francis of Fond du Lac, Wisconsin, and many loving cousins, nieces, nephews and their families. Joy Ann Barton, Sandra "Carol" Bittner and her husband Elmer L. Bittner, Karen Kay Weist, and two stepdaughters, Julie Irias and Jodie Hickman. A graduate of Southern Fulton High School, Linda then attended beauty school and worked for many years from her home as a beautician in the Breezewood and Crystal Spring areas. While living in Crystal Spring, she attended nursing school, earning her degree first as a Licensed Practical Nurse and then as a Registered Nurse. She and her husband then moved to Greencastle where she was employed as a nursing supervisor at Homewood at Williamsport, Maryland until retiring. She was especially fond of spending time with all the children in her family, loved caring for her pet cats, was an avid flower gardener and truly loved the holidays and will be missed for the joy, kindness and laughter she shared with so many. Funeral services will be held Thursday, December 13th, 2018 at 1:00 pm in the Chapel at Dalla Valle Funeral Service, Main Street, Everett, with Chaplain Bruce Maxwell officiating. Friends may call at the funeral home on Thursday from 11:00 am until the hour of service and share memories online at www.dallavalle-everett.com. Burial will be held at Akersville Cemetery. As an expression of sympathy, memorial contributions may be made in memory of Linda to the funeral home. Donations are being accepted for: Dalla Valle Funeral Service, Inc..